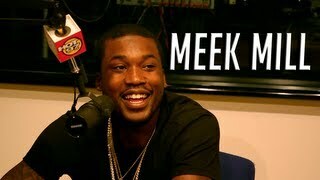 Meek Mill stops by Funkmaster Flex Show and drops a freestyle. Meek Mill, Wale, Rick Ross — the entire Maybach Music Group stop by Funkmaster Flex on Hot 97! Check out the freestyle video here. Meek Mill is out on parole and immediately back in the studio working on his forthcoming ... Yesterday he was guest at Funkmaster Flex where he released two freestyles.